Mars is an incredibly interesting planet and with the help of science fiction as well as space exploration efforts from NASA, ESA, and others we gain some remarkable information. To some Mars has a reputation for being a red desert with nothing exciting to look at. I am here to tell you otherwise. Hopefully by the end of this post you will gain a little excitement about the odd and beautiful landscapes of Mars. Let’s jump right into it! The south pole of Mars. A permanent ice cap that has frozen water and carbon dioxide that is 3 km thick. This is a picture of Mars landscape that looks like swiss cheese! Well this actually frozen carbon dioxide that can be found on the southern pole of the Mars ice caps. 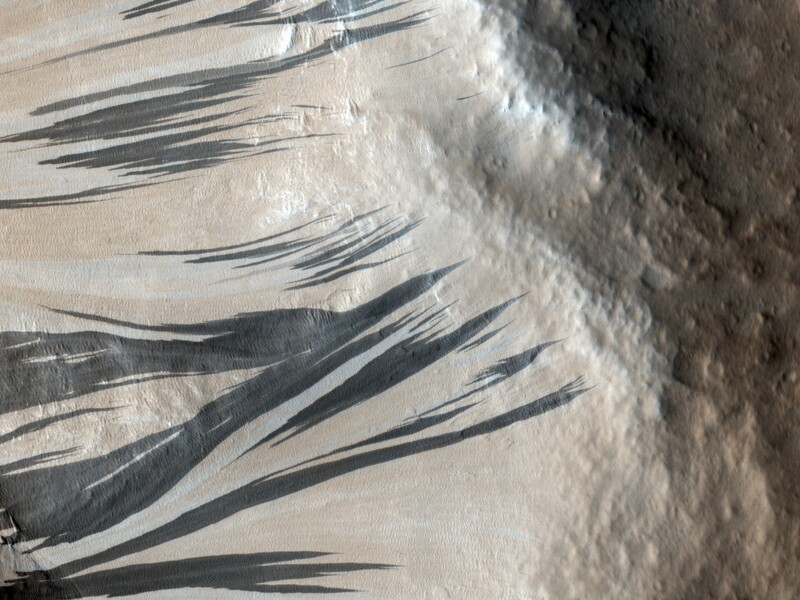 Dark sand streaks on Mars. One of the mysteries of Mars that looks beautiful and like art. One theory of why this might happen is a theory called sand sliding. This is where fine grain dark sand slides down these slopes and overtime creates these liquid patterns. Still not 100% how this happen but that’s what makes science so interesting. 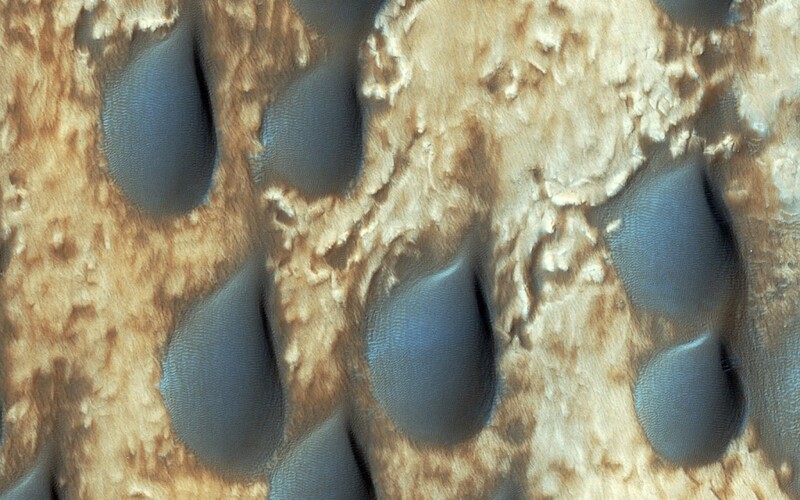 Raindrops on Mars! Well actually they are sand dunes that just happen to look like raindrops. This was targeted by HiRSE because these dunes are rich in the mineral olivine. Olivine can be found on Earth as well but finding dunes are rare since it weathers quickly on the surface. Interesting thing about olivine is that since it weathers quickly it can also sequester CO2 which is a more efficient and cheap way. Olivine can also be found on the moon. 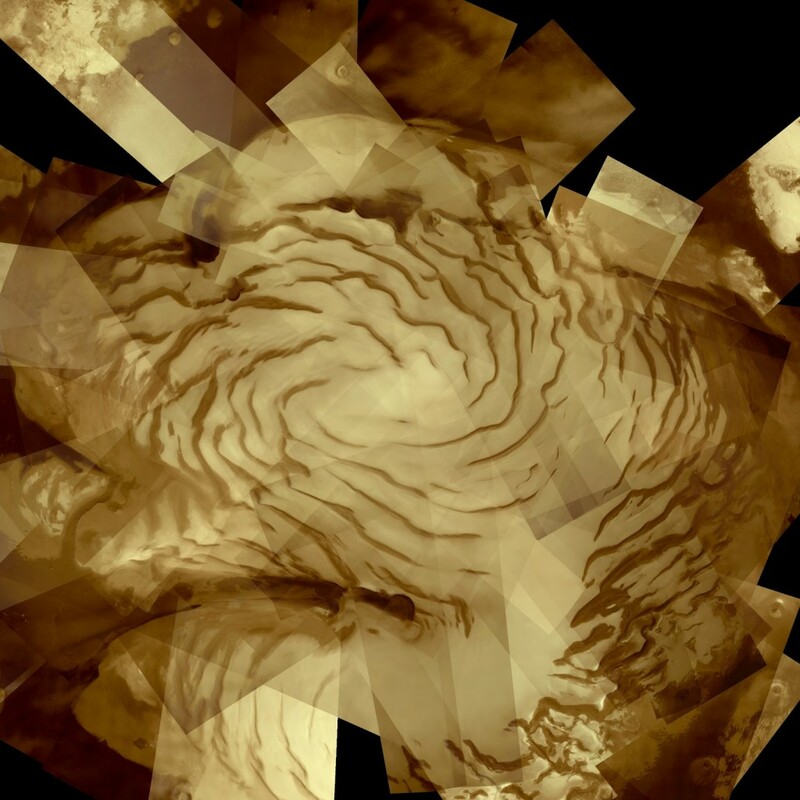 North polar ice cap on Mars. This stretches about 1000 km wide and is composed of 57 images. 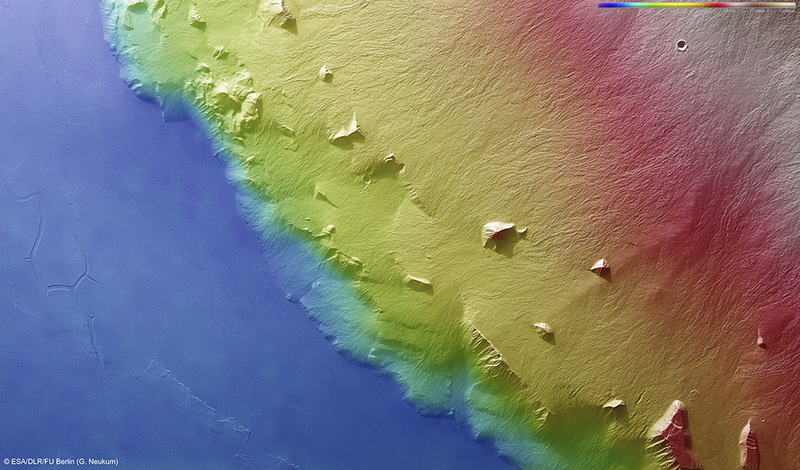 A topographical map of Olympus Mons, the biggest mountain in the solar system. The dark blue represents the base of the volcano then light blue to green represents higher elevation and follows the same idea until the highest point which is red. 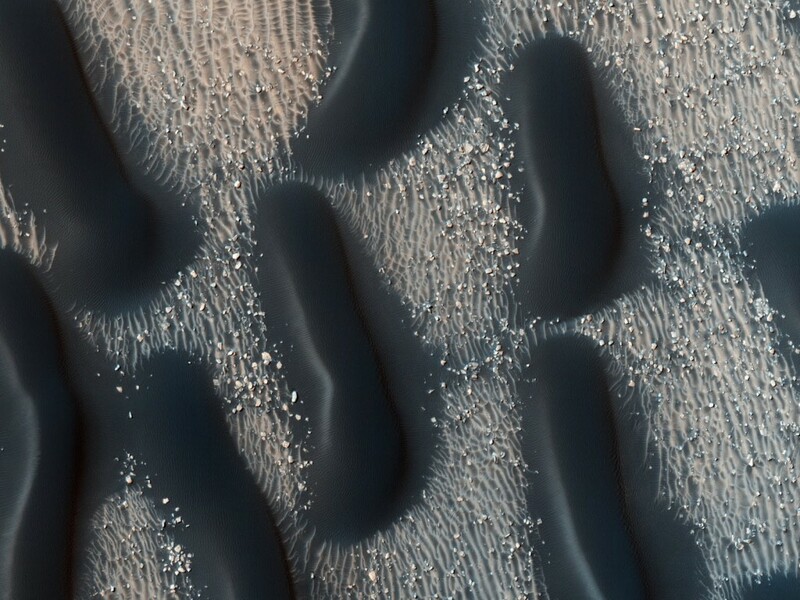 Sand dunes in the North pole of Mars. The relationship between the wind and sand is complex and creates these interesting sand dunes or barchans. 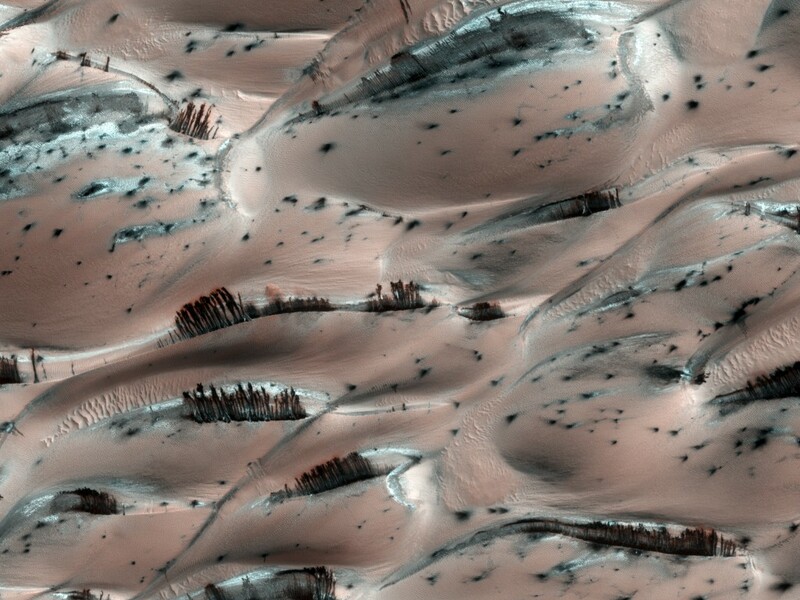 In the southern highlands of Mars lies these dark dunes on Proctor Crater. These dunes are composed of basaltic sand that has collected on the bottom of the crater. These dunes were formed in response to the fall and winter westerly winds. 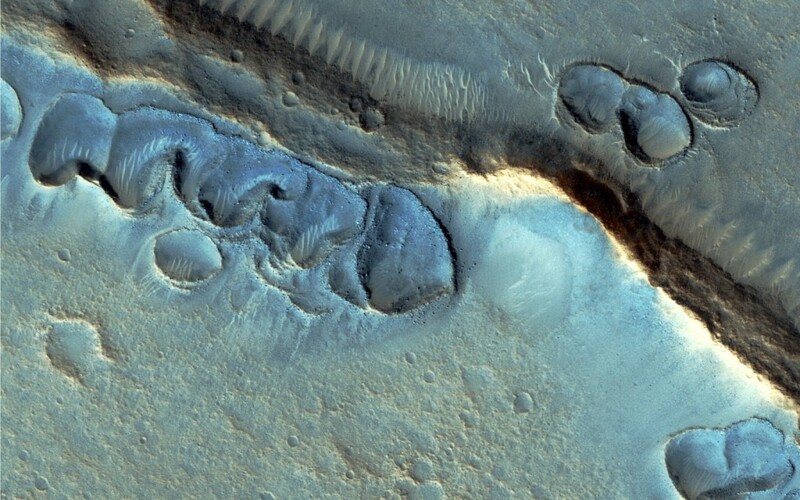 The poles of Mars are proving to be interesting and staying true to alien landscapes! These dark streaks are from dark sand and a mixture of frozen carbon dioxide on the tips. 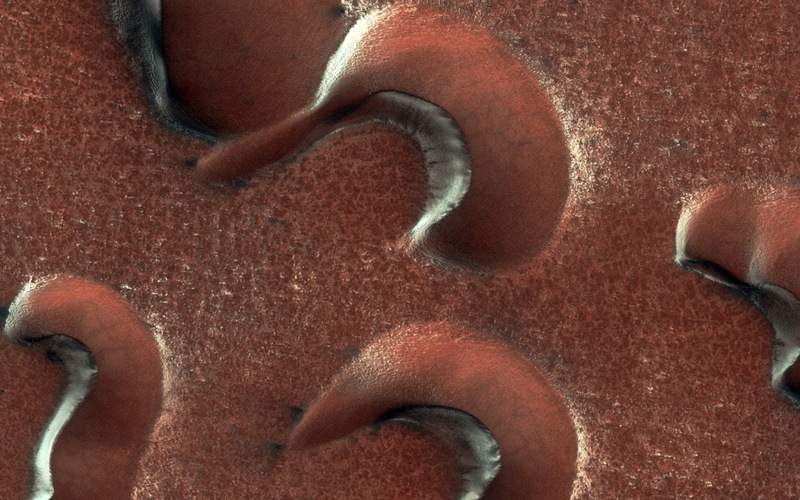 This is an image of the dunes on Mars where substantial gullies are formed. It is likely it forms like this because of frozen carbon dioxide that slumps over. 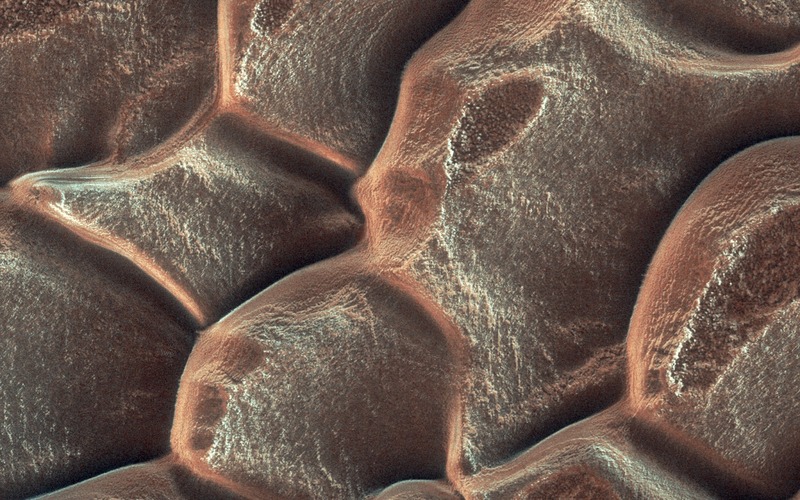 Honeycomb patterns on Mars are visually striking. 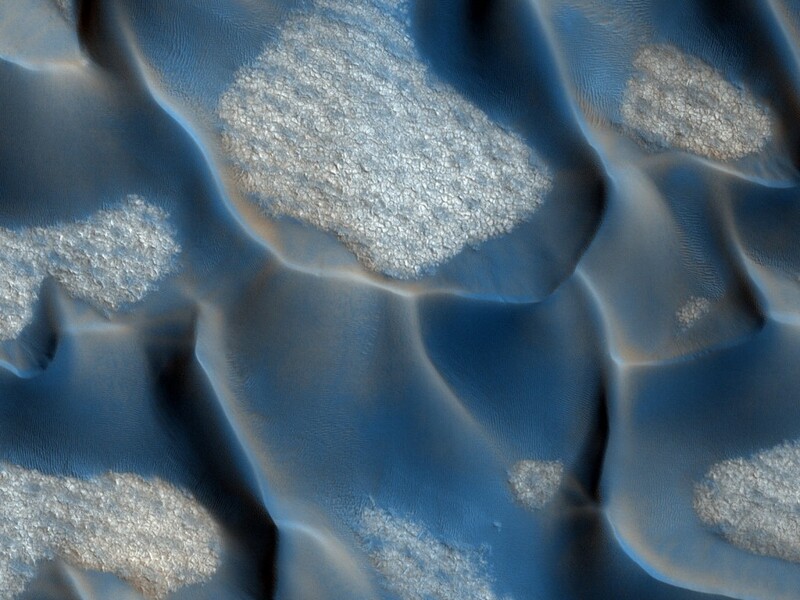 The sand dunes have carbon dioxide frost on them with dark spots caused form sublimation. Sublimation is the process of a gas turning into a solid without passing through the liquid state. Well I hope you enjoyed this journey through the various alien landscapes of Mars. 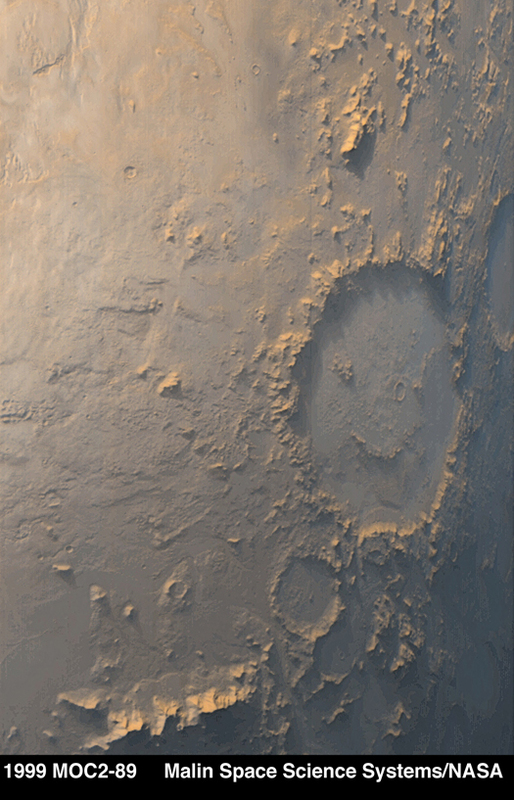 I thought it would be nice to leave you off with this smiley face that happened to form on Mars. Give this post a share or like if you managed to get all the way down here :).